Maxjet filed for bankruptcy as it failed to juggle with increasing fuel costs and competition from specialist and main carriers. The all-business-class airline that was flying out of Standsted is no more. Goes to show that innovative ideas and cheap prices are not enough to keep you afloat. Sound business decision making costs at an absolute minimum are the way forward in the airline business. The two companies benefiting from MaxJet's fall are EOS and Silverjet that are still exploring the business class only niche. Located in the geographical centre of a fast-growing Europe and consisting the gateway between West and East, Berlin has been a famous holiday destination for Europeans and not only. Millions of people take advantage of the strategic position of the city and plan weekend escapes aiming mainly at recreation and relaxation. Besides, the city hides a surprisingly rich historic background that not many people are aware of and get there to have a better look. Love Parade adds popularity to the capital every single year. Last year only, over one million people of every age flocked to the capital in masses to attend the big event. I was there that day and despite the fact that Germans are not big fans of english language, floating love won any potential communication matters. If you wonder about the cost of reaching Berlin, this is another advantage of the capital's position. An easy-accessible destination from most european countries, with plenty of competition making it a cheap option with airline companies. Having Berlin in mind, British Airways is a good example of such a company. One month ago I visited Berlin once again flying with BA and i got impressed by the high-quality service combined with the relatively low cost for such a good service. So, in love or not... Berlin itself makes the visit worthwhile! 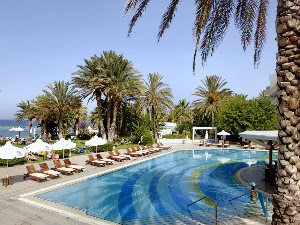 Cyprus is a highly sought after travel destination in the mediterranean. People flock to the island for over 8 months a year since the weather is very mild during spring and autumn and can get very warm in the summer. Perfect conditions for a summer holiday, but if you are not into the 30-40 celcious you can visit outside the main period (June-Aug) and save some money too! BookCyprus.com does exactly what it says on the tin. It allows you to book your holidays including hotels, car hire, airport transfers and tours. They also have a very cool feature to prepare your own holiday package including hotel nights, car hire and the transfer from and to the airport. It's called 'Build your package' and it is a travel shopping basket for different requirements.